For a business, their brand is one of their most powerful assets. If you approach your branding exercises the right way, you can massively increase the amount of interest in individual brands, and your business overall without having to put too serious a dent in your finances. No matter what industry you operate in, you are sure to be competing with a large number of other brands. You, therefore, need to take extra steps to make your brand stand out amongst your competitors. One of the most effective methods of generating more interest in your brand is to pursue a strategy of increasing brand mentions. The more your brand is being mentioned online, the more it will be seen and the greater awareness there will be. It sounds so simple! And yet increasing your brand mentions in an organic, effective, and efficient way requires a considered approach. The following techniques will help you to increase your brand mentions in an organic and sustainable way. 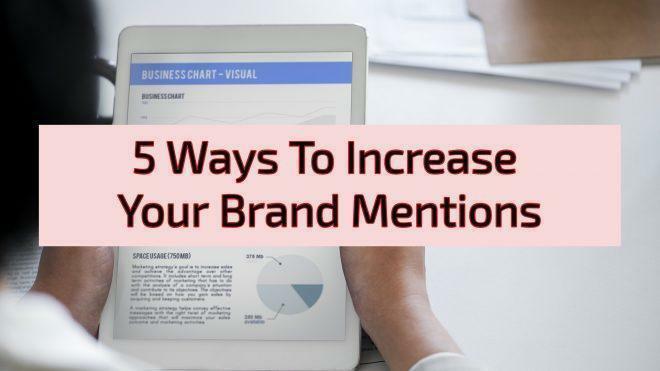 This won’t just provide you with a short-term temporary spike in brand mentions; it will allow you to sustain your growth and reap the benefits for a long time to come. The most effective way of generating more interest in your brand is always going to be the same: produce high-quality content that people will want to share and talk about. Once you start to gain the kind of traction that comes with a budding reputation for creating consistently high-quality content, things can begin to grow very rapidly. Creating consistently good content will benefit you in a number of ways beyond brand mentions. For example, websites that produce high-quality content consistently will have an easier time building a relationship with blogs and other websites. We will talk more about how individual blogs and websites can be a source of powerful influencer marketing, but there are other ways in which creating quality content will pay off for you in a big way with bloggers. Every industry has its own collection of websites and blogs that provide reviews and commentary about that industry. These outlets will naturally tend towards the biggest and most established brands. However, establish a reputation for your quality content and you will forever increase your chances of being considered alongside these brands. Once your brand becomes a common feature across just a few of the most prominent blogs and websites, you will be generating regular, high-quality brand mentions and backlinks. Certain individuals, usually either social media users with lots of followers or owners of popular websites and blogs, provide a service known as influencer marketing. Earning a mention from one of these influencers will put your brand in front of a huge audience. Depending upon the platform the influencer operates on, be it a social media platform or their own website, influencer marketing can provide either a short-term spike in your brand mentions, or it can form the basis of a long-term partnership that could help you secure a steady stream of brand mentions. Getting a mention from the right influencer can drive a huge amount of traffic your way, although this is often a brief spike that quickly subsides. This can be a great boon for your SEO score and can generate a similarly sized spike in sales, but if you can form a longer-term partnership with an influential marketer, you will reap more rewards in the long run. Whether they work in an online or offline medium, journalists are a fantastic source of brand mentions. Remember that while a brand mention in a print publication might not count towards your SEO score, it will still raise awareness, and that can ultimately end with your SEO score receiving a boost. It is also common practice for many print publications to publish their articles online as well, so a mention in a print piece could ultimately end up with a mention online too. Don’t wait for the journalists to come to you either; reach out to them where you think there is an opportunity to work together. You can always ask journalists if you can send them free samples of your stuff in exchange for reviews. This is a very useful tactic for both online and offline journalists and is the best way of beginning to build a good relationship with journalists. Approaching the most prominent journalists covering your industry might not be as easy as just reaching out, and if you are able to reach out, they might want to dedicate their time to more established brands. If you need to find some new leads for journalists, check out LinkedIn. Many journalists, especially those who work in a niche area, will maintain a LinkedIn profile. This is a great way of finding the journalists who are best equipped to cover your brand. 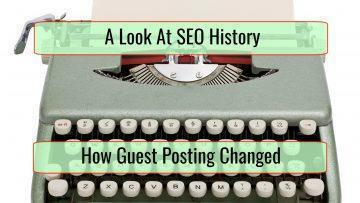 Guest posting is a tried and tested method of increasing brand mentions and is by far one of the most effective. 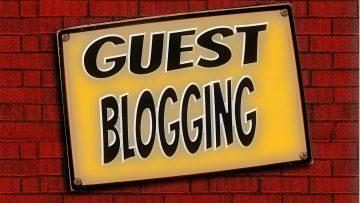 Quite simply, guest posting involves writing content for other blogs and websites that promote your brand in some way. Most blogs and websites will want you to make your brand mention organic and ensure that the content fits in with what their users expect. However, while guest posting is certainly one of the more labor-intensive effort ways of gaining brand mentions, the fact that it generates organic interest in your business makes it a very powerful technique. It is also a very effective way of putting your brand in front of audiences who you would otherwise have struggled to reach. The more active you are on social media, the more interest your brand will generate. Social media likes and shares automatically put your brand in front of your follower’s friends and followers. By producing the kind of social media content that is likely to be widely shared, you can generate a significant number of brand mentions from a modest investment in your social media. Getting yourself more brand mentions will help to improve your SEO, as well as your overall reputation and visibility. Whenever you set out to devise an SEO strategy, it should always include some way of increasing your brand mentions.